The 16 teams will figure in a best of one, single round robin tournament. This means that there will be over a hundred games played over the span of 5 days. The top 8 teams will be seeded into the top bracket while the next four teams are placed in the lower bracket; the last 4 teams are automatically eliminated. The playoffs will be a best of 3, double elimination event, with the grand finals being a best of 5 series. 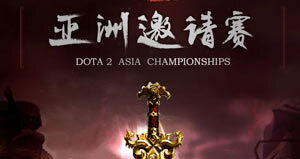 After the Asian Championships 2015 stay tuned for Valves The International 2015 which will be held from August 3 – 8. 2015.